When it comes to fashion, there are fads that come and go faster than you can clap your hands and say boo. 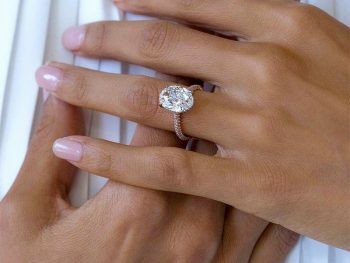 However, when it comes to engagement rings, the most popular styles rarely change and have been very similar for many years. Read our guide for information about popular engagement rings. “A diamond is forever,” the brilliant De Boers advertising slogan, has become part of modern-day belief. This saying is so ingrained in our culture, many people truly believe that a diamond is the only way to go for an engagement ring…they really do last forever and are extremely beautiful. It is unlikely diamonds will ever lose their popularity with regards to wedding jewelry. This is your typical gold band with a round brilliant diamond on top. It is a true classic, and if it’s a large stone, makes the perfect flashy engagement ring. You can flaunt one of these like no other. Usually, either a gold or platinum band, with the elegant princess cut diamond on top. Not quite as flashy as a round brilliant, but there is no other option that is more elegant and sophisticated. What better way to demonstrate your love for one another than a ring that signifies the past present and future? This can also be done with a diamond in the middle, and other gems on the sides. Lots of options, but always with the same great meaning. These are rings that usually have a center diamond on top, and many small diamonds that are embedded into the metal of the band. These tend to be very sparkly, and often popular with those who like to show off their jewelry. Cubic zirconia is becoming more popular every year, for many reasons. You can find sparkling, beautiful stones that are nearly identical to diamonds, for a fraction of the price. Women can have their dream rings, even if they aren’t a rich family. They are durable, can be cut into any style you want, and are easy to find. 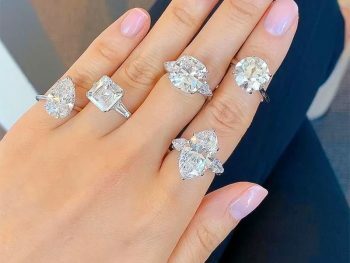 CZ rings will only become more popular in the coming years. 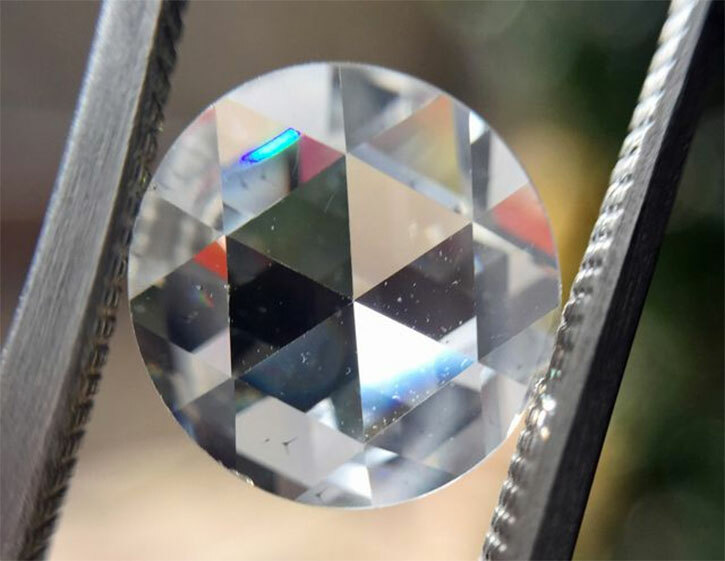 Moissanite is similar to cubic zirconia in that it is also considered a “diamond substitutes.” They are also becoming more and more popular as the stones being created are of better quality and more beautiful. 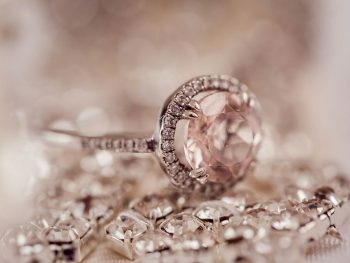 A great option if you want something that looks, acts, and feels like a diamond, but has a totally different price tag. 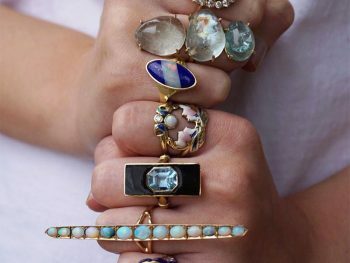 These rings have become extremely popular over the years. The main draw is the unique spiral designs and the intricate knot-work of the ancient Celts that are what personify these engagement rings. Many have special meaning, which makes them perfect for a special engagement ring. She has been good to you. She does your laundry, she works hard, she laughs at your cheesy jokes and more importantly, she’s the ONE for you. That is why you should make it a point to get her the most perfect engagement ring to knock her heels off and impress on her your everlasting love. Engagement rings come in a variety of settings, so choose wisely. There are infinite ways to set a diamond and create a ring just right for your mate. The question is how do you determine what is the right ring to get her? 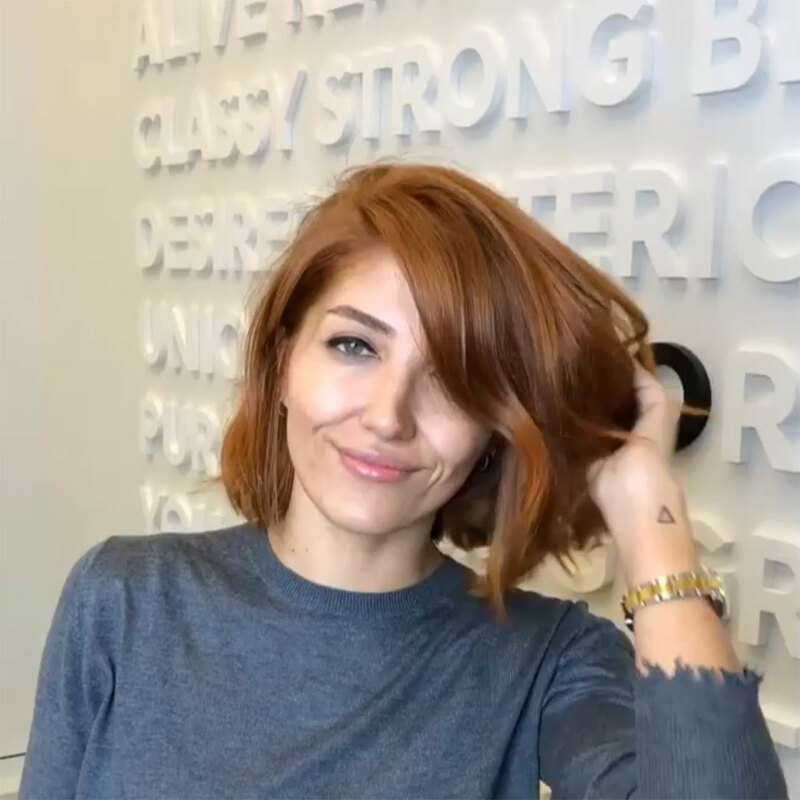 If you do decide to go ring-shopping without her, either because that is her preference or because you want the proposal to be a surprise, your next step should be to decide what kind of personality your significant other possesses. If she is simple and elegant, very low maintenance, a bezel set solitaire ring would be an excellent choice. A bezel set ring has the diamond embedded in the band and looks neat and modest for any low-key woman. 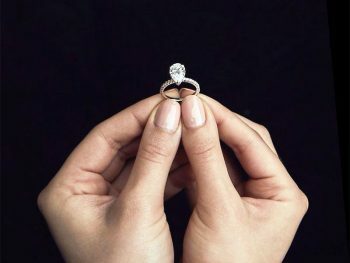 If your queen is a little more flamboyant and wants everyone who looks at her finger to know she is taken and happy, a three-stone ring setting would be fitting. With three stones everyone around her will know she is in love and she will be happy knowing it is not too little or too much, but just right. If your lady is loud, proud, and showy as ever, get her a rock that says she is the boss and do not forget it. Get her a ring with diamonds around the whole band and a grand central diamond so bright she will have to wear sunglasses to look at it. When choosing a material for the actual band try to match it with the jewelry she already wears. Just think a while about what your girlfriend likes and find a ring to suit her actions as well as her character. Before buying a ring you should research on diamond quality as well as read reviews about places that sell rings. Find out who has the best customer satisfaction and find the place nearest you that can offer you beautiful engagement rings to choose from. Bottom line is no matter what ring you get your girl, she will be happy that you love her enough to want to spend your life with her. Hopefully, the next step will be her happy acceptance and then planning out her dress (traditional? colorful?) and makeup (airbrush makeup? makeup artist?) for a perfect wedding day. The engagement ring is often the symbol of love between two people and is only surpassed by the wedding ring in importance. Making a big impact with the ring when proposing is on every man’s mind and a custom engagement ring can accomplish exactly that. When you start looking for a ring for your partner, you will see that there is a huge amount of options. Here are some of the popular engagement rings. 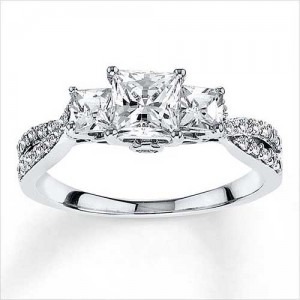 The princess cut diamond ring is a very popular engagement ring. It has a classic look and the stone are available in different sizes. 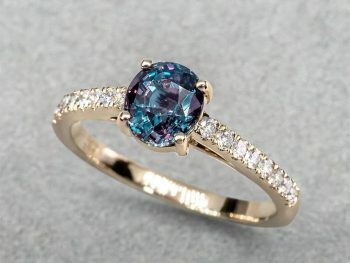 The stone can be set in a tapered or wideband, usually made of white or yellow gold, or platinum. Probably the most popular engagement ring, the six prong diamond ring has both a traditional and distinct look. 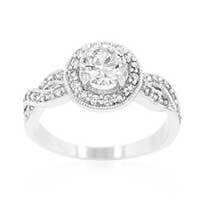 The round diamond is supported by six prongs, leaving all eyes on the central, round, diamond. The Eternity, or Alliance ring, are affordable and popular engagement rings to use as an engagement ring. It comes in many sizes, and with one to a full rack of diamonds. These rings usually consist of one or more gems stones, with or without a diamond in the center. 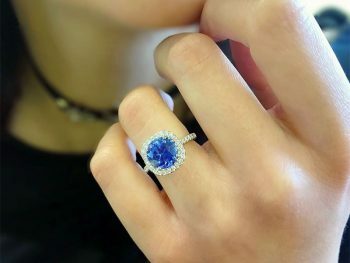 Popular gems are sapphires, ruby, and emeralds. These can be set in platinum and white or yellow gold. 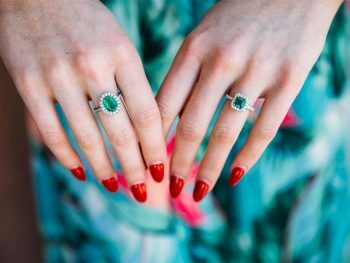 Gemstone rings are great as a custom engagement ring because the options are so many, and you can pick and choose between stones to get the perfect match. 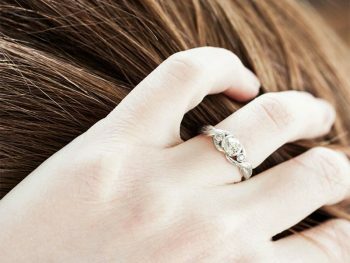 The Tension rings are pretty unique and distinct looking rings, but still popular engagement rings. They are characterized by their design where the stone is held in place by the ring tension, and not the usual prong or bezel mounting. The Celtic Harmony ring is a nice alternative to the diamond engagement ring. It features the Celtic love knot and is usually set in gold. Pear-shaped diamond rings are very beautiful, but because of the shape of the diamond which mimics a pear, they can be very expensive. These rings often have 1ct diamonds and above. Most custom engagement rings can be engraved if the set is thick enough. Engraving the ring with some special words to your loved one can be a very romantic and long-lasting symbol of your passion for her. The engagement ring is important for both the person giving it away and the person receiving it. That said, the person receiving it will be the one wearing it. Buying a ring that you find gorgeous but your partner finds awful can be an uncomfortable situation for both of you. Keep your partners taste in mind when you consider the popular engagement rings above. Needed to post you one little bit of note so as to give many thanks over again for all the breathtaking knowledge you have provided above. It’s so strangely generous with you to offer freely what exactly a few people could have made available for an e-book to earn some money for themselves, most notably since you could have done it if you ever decided. nice to read this webpage, and I used to pay a quick visit this web site everyday. Princess cut engagement ring looks nice, it also doesn’t look cheap. 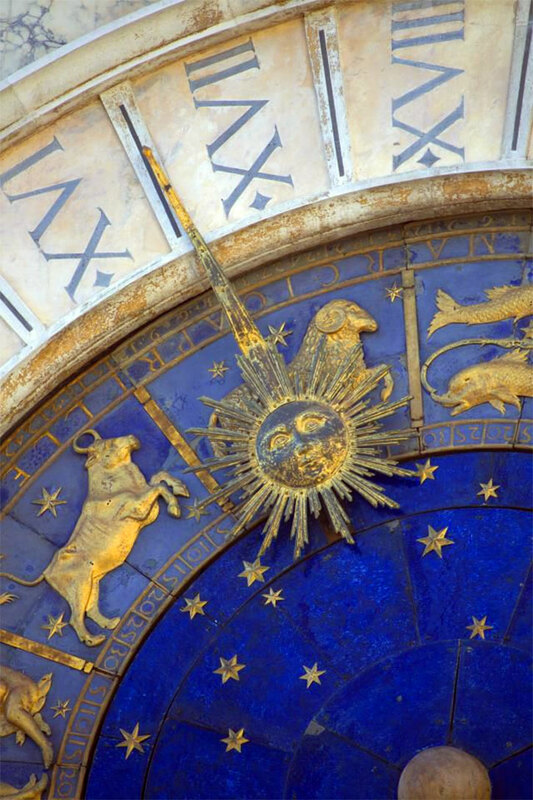 I just hope in the time it does not turn a little dark. This ring is just beautiful and gets higher reviews on Amazon. So I thought that the price great and I took a chance. 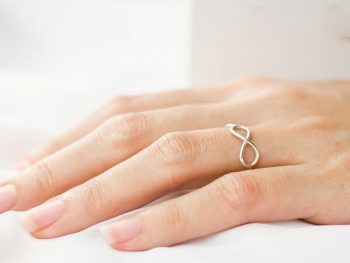 I bought one of this ring from Amazon in two sizes. That is a beautiful ring! I’ve always had a weakness for rings, and I love gemstones and sterling silver. It’s affordable and won’t turn your finger green. 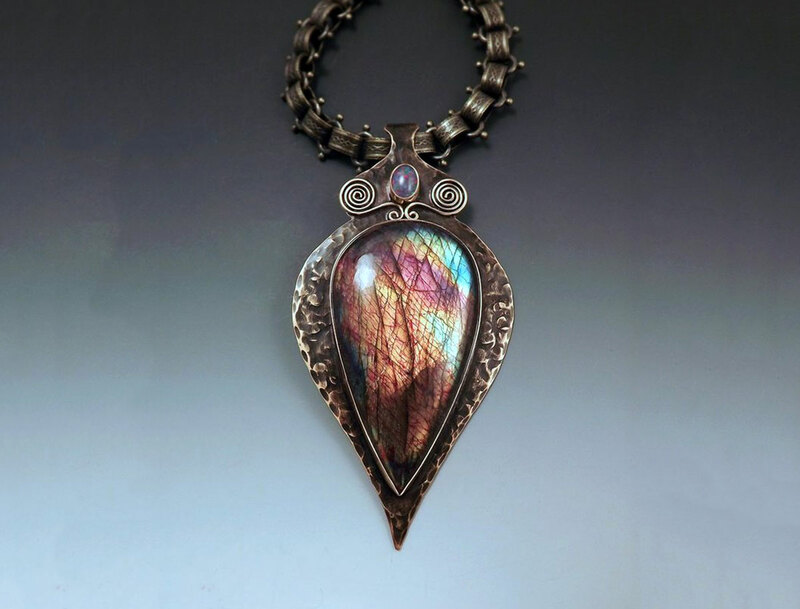 @Regena – I love gemstones. I am fond of rubies cast in gold. Recently during my visit to Thailand, I saw beautiful azure colored stones cast in rings. Since my visit to the gemstone factory, I have developed a liking to blue turquoise stones.